In The Wild Edge of Sorrow, Francis Weller offers his readers a breath-taking and dramatic journey of inner discovery into personal pain resolution, planetary healing and Soul development. It is an essential publication - one that offers precious guidance and insight for those who are strong enough, as well as mature enough, to probe and challenge the darkness." 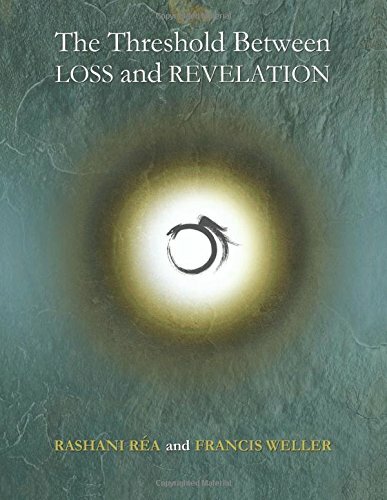 From the Amazon page, posted by North Atlantic Books: "Noted psychotherapist Francis Weller provides an essential guide for navigating the deep waters of sorrow and loss in this lyrical yet practical handbook for mastering the art of grieving. Describing how Western patterns of amnesia and anesthesia affect our capacity to cope with personal and collective sorrows, Weller reveals the new vitality we may encounter when we welcome, rather than fear, the pain of loss. Through moving personal stories, poetry, and insightful reflections he leads us into the central energy of sorrow, and to the profound healing and heightened communion with each other and our planet that reside alongside it. others, an atmosphere of compassion, and the comfort of ritual in order to fully metabolize our grief. Weller describes how we often hide our pain from the world, wrapping it in a secret mantle of shame. This causes sorrow to linger unexpressed in our bodies, weighing us down and pulling us into the territory of depression and death. We have come to fear grief and feel too alone to face an encounter with the powerful energies of sorrow. such as privatized pain, lack of communal rituals, a pervasive feeling of fear, and a culturally restrictive range of emotion. Weller highlights the intimate bond between grief and gratitude, sorrow and intimacy. In addition to showing us that the greatest gifts are often hidden in the things we avoid, he offers powerful tools and rituals and a list of resources to help us transform grief into a force that allows us to live and love more fully." "Francis Weller is the ultimate grief sage of our time. The Wild Edge of Sorrow marries uncommon compassion with clear-eyed discernment in its invitation to the reader to become a soul activist in a soul-devouring culture. It is a comprehensive manual for conscious grieving and opening to the unprecedented joy and passion that results from embracing our sorrow." - Carolyn Baker, Ph.D., author of Love in the Age of Ecological Apocalypse and Collapsing Consciously. "This book rings a shivering bell of hope: that, when lifted by ritual and fellowship, the moist ground of grief actually contains a treasury of gifts that are our ancestral birthright. In other words. we start to become a real human being. We are no longer rigid islands of self sufficiency, but open to the soulful wonders that the animate world offers. Insightfully written, warm and with a wonderful poetic sensibility, the deep experience of Weller shines through. The work has honed something clear and valuable in his own character, and a delightful wisdom shines through every page of The Wild Edge of Sorrow." - Martin Shaw, author A Branch From The Lightning Tree. "Most of us instinctively turn from what makes us uncomfortable. Yet often the greatest gifts lie hidden in what we avoid. Certainly at this time we have much to grieve both as individuals and as a culture; but our collective amnesia about the traditional practices of grieving keep us from uncovering the buried treasures that could be our salvation. In fact, the accumulated weight of our ungrieved losses may be at the root of what is fragmenting our world." Francis Weller's lyrical and moving book offers us a way to remember and embrace these practices and, by so doing, renew our lives and restore the soul of the world. 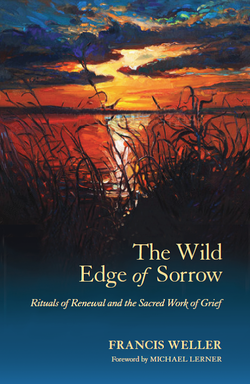 The Wild Edge of Sorrow reads like poetry and is both a prayer and an invitation: a prayer of soul healing and an invitation to the mystery of becoming fully human. May it find its way to those who need it (most of us).” - Larry Robinson, poet, former mayor Sebastopol, CA. "In this beautiful weave of sacred words and images, we are reminded that loss and love cannot be separated. Savor each page, and you'll find a source of soul nourishment that you can revisit again and again." From the Amazon page: "This is a book of aliveness and brilliance; a luminous synthesis of sacred, eloquent creativity; a unique collaboration between Rashani Réa and Francis Weller, two compassionate authorities known for their revolutionary work and healing presence. As we turn each page, we become increasingly aware of the inseparable union of unconditioned Awareness and our conditioned experiences—what Peter Fenner calls "The Co-emergent Wisdom of Just This." Rashani and Francis are skilled toolmakers who masterfully guide us through the raw vulnerability of grief to a place of reverence for the journey, offering a balm to the nomads of this harsh terrain. The Threshold Between Loss and Revelation infuses our lives with an immediate sense of perspective—deeper than, and beyond, conceptual understanding, inviting us to consider that suffering is an option, not an inevitable, ongoing condition! Rashani Réa's 108 stunning, full color collages are accompanied by six chapters of exquisite, soulful writing by Francis Weller. Each collage contains inspired words from more than fifty women and men, whose insights invite us to glimpse That which is unbreakable and whole—That which has been colored by experience (and grief) yet not harmed or changed by any degree of pain or suffering. ​This book is a compass, a lamp, a valuable guide! It is a remarkable embodiment of the ancient Tibetan practice of Tonglen. Throughout these pages you will find a spaciousness for cultivating mercy and equanimity in the presence of grief and despair. Réa and Weller have breathed in personal and collective pain and are breathing out compassion, wisdom, wakefulness, and beauty. You can but hold this book and reach a peace you thought unattainable. But read it for perspective, and for the love of art and solace."